Nifty Daily Chart: As we expected, Nifty is still under pressure. 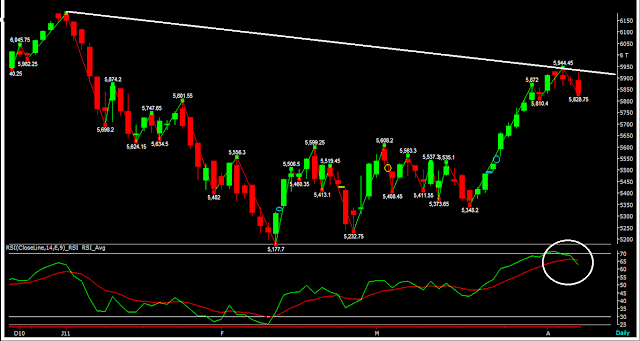 We can see further fall if Nifty manages to close below 5890 and we expect the same. RSI has turned negative and holding on to it's negative ground today. Positional Traders can build short in Nifty with SL at 5890. I will update you this Sunday on possible targets and possible movements in Nifty over the next few days/week.